A port and modification of the Arthemia Free Wordpress theme converted to Drupal. The theme is of high quality, has 11 configurable regions and can be used in one and two column layouts. You can read more about the themes features on the demo site. 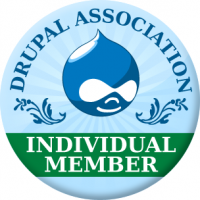 We decided to add some new sections to our site as we add some helpful new content for webmasters out there looking to improve their current Drupal website, and especially those just getting started. One of the constant cries from the community is that there is not enough documentation in layman's terms. Currently, I have been using Hostgator as my primary Drupal host for over 1 year. I was blown away by the services they offered. I decided to sign up once I saw the pricing tiers. For what I was currently paying for on 2 accounts from 1 and 1, I was able to get a virtually unlimited account for about $2 more per month. I thought this was the best choice for an aspiring Drupal web developer.